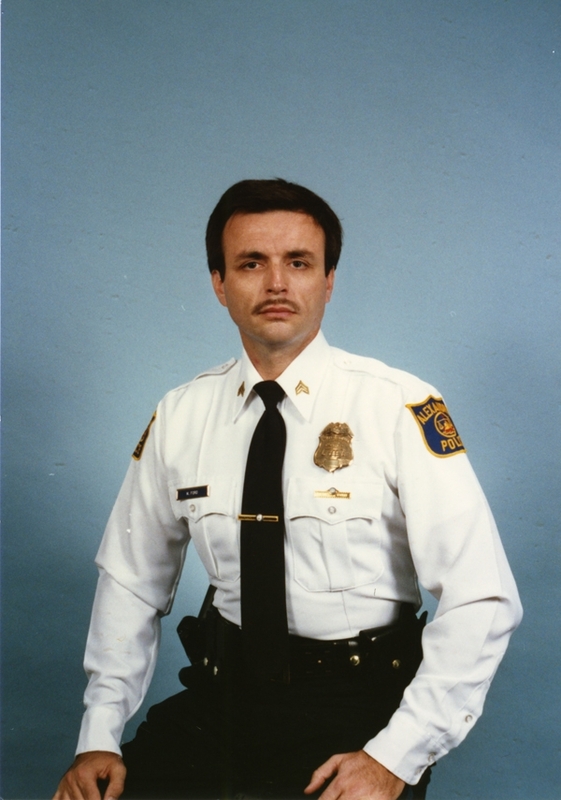 Sergeant Morty Ford died as the result of contracting Hepatitis C during a blood transfusion after being shot in the line of duty. On November 26, 1974, Sergeant Ford and several other officers had responded to a robbery in progress at a state-owned ABC store on North St. Asaph Street. As they arrived at the scene Sergeant Ford observed two men get into a car in an adjacent parking lot on Montgomery Street. As the patrol car pulled into the parking lot the men in the car immediately opened fire on the officers. Sergeant Ford rammed the vehicle as it attempted to flee and then returned fire. He was struck in the chest during the ensuing shootout. One of the suspects was fatally wounded and two others were taken into custody. Sergeant Ford underwent several blood transfusions following the surgery. It was later determined that he received infected blood during one of the transfusions. His health continued to deteriorate until he passed away in 2011. Sergeant Ford had served with the Alexandria Police Department for 26 years. He is survived by his brother and two sisters.